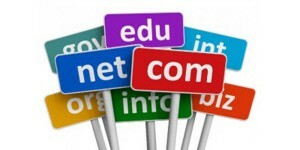 The .com and .net TLDs had a combined total of approximately 148.3 million domain name registrations in the domain name base3 at the end of the first quarter of 2018, with an increase of approximately 1.9 million domain name registrations, or 1.3 percent, compared to the fourth quarter of 2017. The .com and .net TLDs had a combined increase of approximately 4.6 million domain name registrations, or 3.2 percent, year over year. Total new gTLDs (ngTLDs) domain name registrations were approximately 20.2 million at the end of the first quarter of 2018, with a decrease of approximately 0.4 million domain name registrations, or 2.0 percent, compared to the fourth quarter of 2017. ngTLDs decreased by approximately 5.3 million domain name registrations, or 20.7 percent, year over year. The top 10 ngTLDs represented 51.1 percent of all ngTLD domain name registrations. The following chart shows ngTLD domain name registrations as a percentage of overall TLD domain name registrations, of which they represent 6.0 percent, and also the top 10 ngTLDs as a percentage of all ngTLD domain name registrations for the first quarter of 2018. For more domain stats from the first quarter of 2018, check out the latest issue of the Domain Name Industry Brief. The figure(s) includes domain names in the .tk ccTLD. .tk is a free ccTLD that provides free domain names to individuals and businesses. Revenue is generated by monetizing expired domain names. Domain names no longer in use by the registrant or expired are taken back by the registry and the residual traffic is sold to advertising networks. As such, there are no deleted .tk domain names. http://www.businesswire.com/news/home/20131216006048/en/Freenom-Closes-3M-Series-Funding#.UxeUGNJDv9s. The generic top-level domain (gTLD) and ccTLD data cited in this brief: (i) includes ccTLD Internationalized Domain Names, (ii) is an estimate as of the time this brief was developed and (iii) is subject to change as more complete data is received.